With the drop in temperature and the foreboding freeze of winter looming before us, we look to the far more exciting and important event in this year’s cultural calendar: FRIEZE. The annual art event taking place, every October, in London’s Regent’s Park, with over 60,000 visitors, provides a platform for art scholars, connoisseurs, collectors and the general public in which to interact, divulge, present, create and celebrate art in all its’ forms. Comprising of three magazines: Frieze, Frieze Masters Magazine and Frieze week, 4 Art fairs: Frieze London, Frieze Masters, Frieze New York, Frieze Los Angeles and finally Frieze Academy offering courses, talks and lectures. 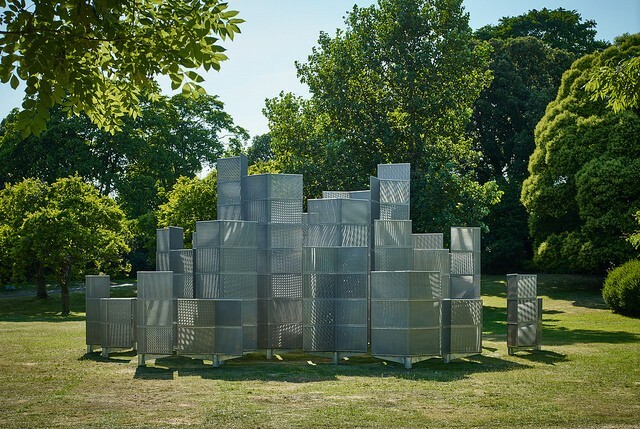 From the 4th to the 7th of October, Frieze London art fair visits London Regent’s Park coinciding with Frieze Sculpture and Frieze Masters and offers us its’ most extraordinary and incredible artists and artworks alike. 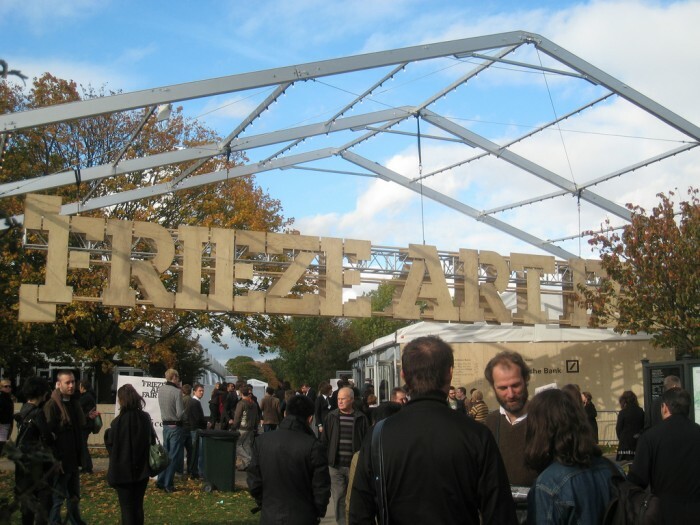 Frieze began in 1991, with the launch of Frieze magazine. It evolved into a London October art fair focusing solely on contemporary art in 2003, then expanding in its form to reach New York in May 2012. 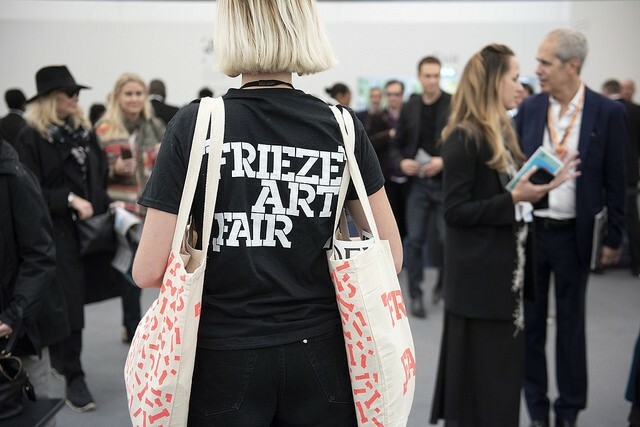 It will next year expand to form Frieze Los Angeles in February 2019. In 2012 they also launched Frieze Masters, an art fair taking place at the same time and place as Frieze art fair in London, but that focuses on contemporary interpretations of historical art. It comprises of 3 sections: main, collections and spotlight. Victoria Siddall is the Director of Frieze Masters and Frieze London, with artistic direction from Joanna Stella-Sawicka. Firstly, Frieze Projects (a non-profit programme of new artists commisions) gives us Live, the Frieze Artist Award, Frieze Film and Frieze Music. Curated by Diana Campbell Betancourt, with Control as its’ central theme, Live gives us a series of important performance pieces that come together to question ideas of compliance, authority and surveillance within modern day society. On Thursday 4th October, an opera singer will launch snippets and fragments of overheard conversations at Frieze into the public arena in a bellowing melodious and somewhat disturbing mix of reality and fiction. Laure Prouvost’s exciting performance piece It’s a tragedy, looks at the increasingly problematic interaction between the art world and personal data. Asim Waqi presents an exploration of the concept of public spaces; constructing, deconstructing, reconstructing and transforming in a performance just outside the main entrance of Frieze. We are invited to examine the process of creation itself in This is a Demonstration. Liz Glyn gives us The Fear Index; using the evolution of cultural values and history as a tool, she explores the possibility of change in the present. In this piece, she explores the commodification of fear within the financial sector; using dance as a medium to explore the bizarre idea that we are monetizing emotion. Also to look out for, are two pink security clad guards roaming around Frieze! Julia Scher explores in her live piece: Guards, Hidden Camera the invisibility of older women within our society, and the visibility of controlling forces. She questions authority as inherently visible and masculine with her ‘feminization’ of the trope of a uniform. She accompanies this piece with art-deco security cameras; further playing with notions of surveillance and compliance within our society. Similarly to Julia Scher’s security cameras, Camille Henrot creates an installation of ‘simplified’ telephones in Bad Dad and Beyond, Enough is Enough, Ded Moroz, Guilt Tripping, Dawg Shaming. But soon we realize these are a series of very unhelpful self-help hotlines. Embarking on an exploration of humankind and our new obsession with psycho-analysis, Henrot is deliberate in her portrayal and refusal of any answers. Christian Boltanski in his installation: Derniere Seconde features 11 counters with the date and time of each individual artist-asking us to really think about the ephemeral nature of life- the completely accidental making (so to speak) of the artist behind each piece of work. Otobong Nkanga in Contained Measures of Shifting States: presents an installation on the intangibility of identity, memory and perception, where elements shape-shift before our eyes on two circular tables. Pratchaya Phuntong then gives us Demonstrations- where in a re-distribution of counterfeit currency to the public, Phinthong looks at the effect of politics on people, and in this case on farmers who were forced to pay with fake Thai Baht notes to participate in recent political protests. And finally, in another Live choreography, the Frieze artist award winner Alex Baczynski-Jenkins (who will benefit from a residency at Delfina Foundation, London) presents a beautiful engagement with queer relations and the politics of desire, intimacy and friendship. Playing daily from the 4th to the 7th at 3pm, Frieze film explores the themes of mass communication and control. Each film will premiere in the Frieze London auditorium during the fair (5–7 October 2018) and later show as part of Random Acts, Channel 4’s strand dedicated to the arts. Paul Pfeiffer plays with the psychology of mass communication placing images of Justin Bieber’s face in juxtaposition with megachurch gatherings. Lucy Raven explores in her film the ability of volcanic materials to immobilize and bury, inspired by the Volcanic eruption of Mount Pinatubo. The Otolith Group presents Message of the forest: taken in many ways it can be an ode to the Sal Forests of WestBengal, to the weathering of parent rocks or perhaps to Rabindranath Tagore’s vision of a world campus that would become Visva-Bharati University in Santiniketan, West Bengal in 1921. Next up, FRIEZE TALKS (curated by Frieze magazine editors) is a daily programme of talks between connoisseurs, philosophers and critical theorists, that this year explores the theme of autobiography, the role it plays in Art and society, at a time when personal experience is increasingly being made public through technology and surveillance. On Thursday 4th Oct at 12 pm: CAS Curatorial Summit, examines particular case studies of Public and Private sectors in the arts. At 430pm: a talk with artist Sam Lewitt explores his work, concerning itself mostly with machinery and material production but the ways in which this production is directly related to the march of history. 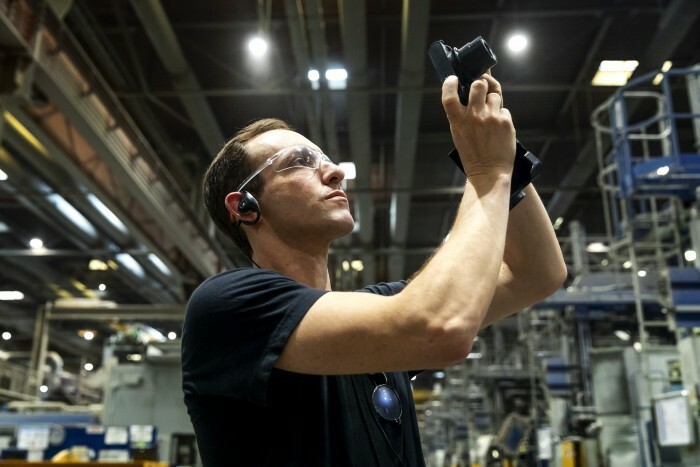 Sam Lewitt has created a piece CORE (the “work”) bringing together art, design and engineering as part of BMW Open Work. He explores the production cycle of a BMW engine, presenting the idea of the cycle and process as an engine itself. the commissioning system itself; always examining the circulation of information, the institutions and systems through which knowledge is disseminated and objects gain value. On Friday 5th Oct at 1230pm, Alexander Chee, American fiction writer, author of Edinburgh, the queen of the night, how to write an autobiographical novel gives a keynote lecture. At 430pm: Laurie Anderson discusses multimedia storytelling, looking at her personal experience of mid-west America and recent Trump conditions. On Saturday 6th at 1230pm Kemang Wa Lehulere, South-African artist discusses his relationship to political activism, familial experience and research. At 430pm revolutionary Nan Goldin discusses the personal and inherently political aspects of her practice and recent activism: founder of P.A.I.N (Painkiller Addiction Intervention Now). 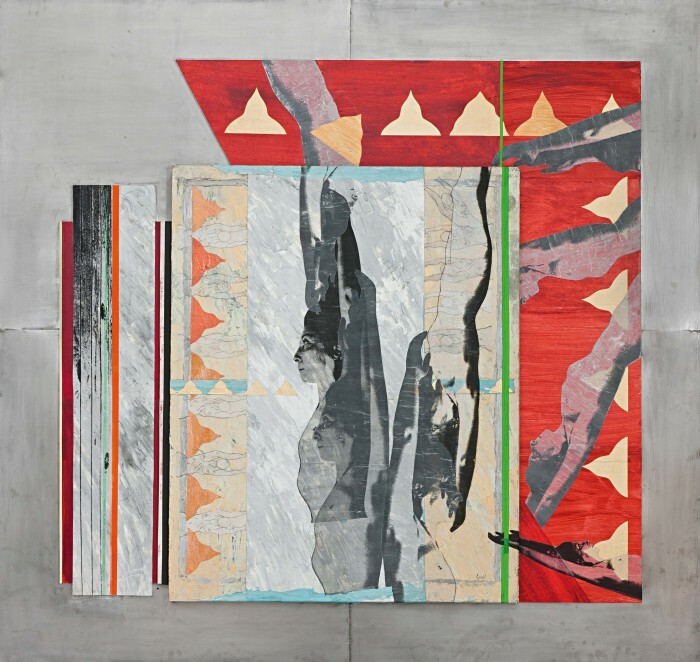 Her works are also available for viewing at Frieze London. On Sunday 7th Oct at 1230pm, Andrew Durbin, Momtaza Mehri, Diana Hamilton and Olivia Laing look at how autobiography invades all different forms of writing in Auto/Biography. On top of these talks, FRIEZE ACADEMY gives us two very important conferences: Art & Architecture Conference 2018: a reassessing of how and where we live/ the role museums and art galleries play beyond pure exhibiting (Tuesday 2nd October 10am-430pm) and A Brief History of Performance in South East Asia (Friday 5th October 830am-1030am), focusing on contemporary performance and video art, the symposium places the history of contemporary art in South East Asia within an international context. 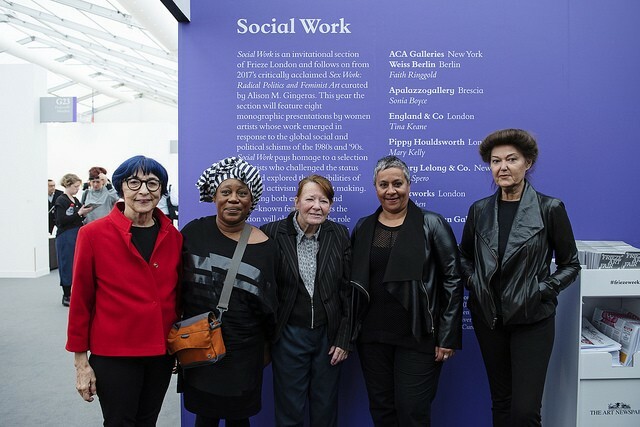 This year we also see a real and much-needed focus on women artists in the themed section: SocialWork; challenging the male-dominated art market of the 1980’s. On Thursday 4th October at 430pm, experience leading women artists Sonia Boyce, Ipek Duben, Mary Kelly, Berni Searle in a discussion where they explore challenging the status quo and continuing political activism in their work. There work is also on display in the Social Work section of London Frieze. A particular highlight is a presentation of Ipek Duben’s body of work by Pi ARTWORKS, who focuses on identity and alienation, gender and migration (stand S8). Next up, The FOCUS section of Frieze brings light to emerging talents, featuring 34 carefully selected and innovative galleries, aged 12 years or younger. Some particular highlights include immersive work by Wong Ping(above) and Penny Goring, the humorous works of Hardeep Pandhal; questioning preconceptions of British Asian identity, art that explores the ways in which we create meaning by Anna-Sophie Berger and Cécile B.Evans, a photo series exploring sexuality, queerness and cultural identity of minorities in contemporary America by Elle Pérez, as well as an exploration of the politics of place, history and memory in South Africa by Bronwyn Katz, Donna Kukama and Cinga Samson. Frieze Sculpture, located in The Regent’s Park’s English Gardens at the South end of The Broadwalk, is still on show until the 7th of October, featuring works by 25 contemporary artists, of different generations and different cultural backgrounds, including Larry Achiampong, John Baldessari, Rana Begum, Yoan Capote, James Capper, Elmgreen & Dragset, Tracey Emin, Tim Etchells, Rachel Feinstein, Barry Flanagan, Laura Ford, Dan Graham, Haroon GunnSalie, Bharti Kher, Kimsooja, Michele Mathison, Virginia Overton, Simon Periton, Kathleen Ryan, Sean Scully, Conrad Shawcross, Monika Sosnowska, Kiki Smith, Hugo Wilson and Richard Woods. There is also a READING ROOM, where Frieze invites you to meet writers, editors and artists in daily events. The celebration of womankind, seen throughout Frieze, can further be found in a pop-up vehicle “Mount Street Editions”, selling limited edition prints by 4 incredible female artists, from 10 am each day of Frieze for 100 minutes, on Mount Street. All proceeds go to two charities: Dress for Success and the Young Women’s Trust. 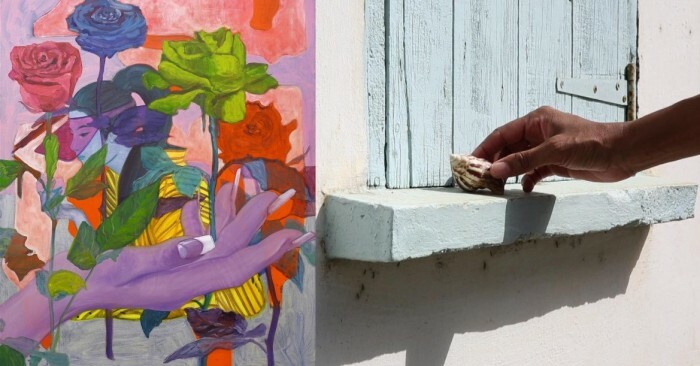 The artists include France-Lise McGurn, Zadie Xa (above left: previous work, Purple Velvet 2016), Helen Cammock (above right: previous work,There’s a Hole in the Sky part 1. 2016) and Renee S. The important collaboration is celebrated by the fashion brands of Mount-street in a series of special offers and exciting installations that shouldn’t be missed (Carolina Herrera, creed, Huishan Zhang, Jessica McCormack, Linda Farrow, L.O.N.B, matchesfashion.com, Marni, The Mount Street Deli, Nicholas Kirkwood, Pringle of Scotland, Sophia Webster, Valextram, Erdem, 45 Park Lane). Previews, portraits, personalised monogrammed notebooks, champagne on offer and private tours are but a few of the exciting special offers as part of Mount Street Editions! In other news, on the 22nd of October, SARABANDE, The Lee Alexander McQueen Foundation, will present their bi-annual art series, which will include a talk entitled: 21st Century Women, a portrayal and celebration of a whole host of British female artists at Unit London Mayfair, and three alternative life drawing classes on the 9th, 16th and 30th(A Halloween special) of October. 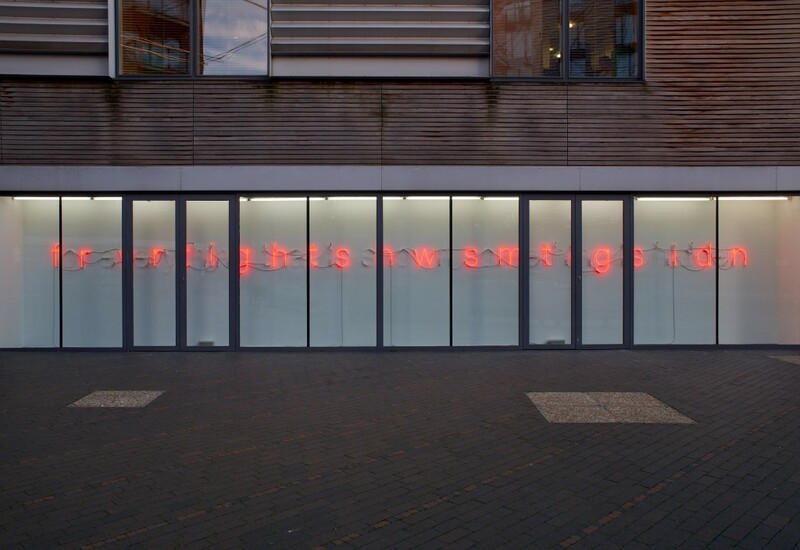 In addition, Sarabande will offer a talk with Stephen Jones Obe and Matty Bovan on 23rd Oct, and talks on the basics of setting up a business on the 18th of Oct.
Tim Etchells, who has his work Everything is Lost, 2018 exhibited as part of Frieze Sculpture 2018, also has a solo exhibition at VITRINE, presenting a new neon installation that begins with an apparent random assortment of lit up letters, gradually coming together to form a phrase, that fills the gallery space, from James Bridle: ‘For everything that is shown something is hidden’. 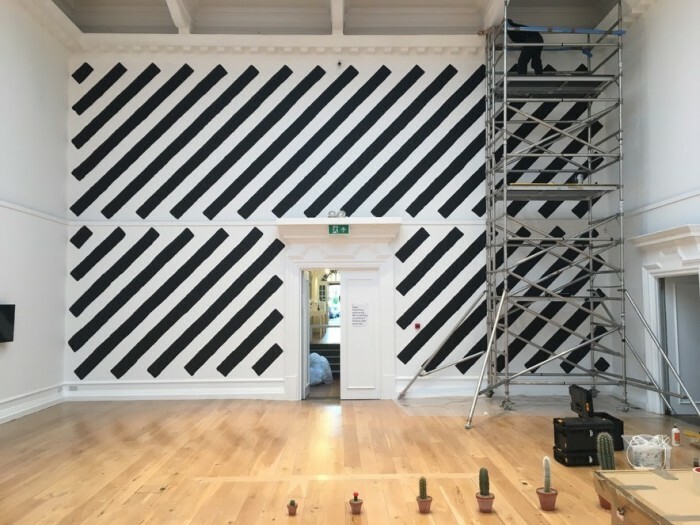 Martin Creed shows his work as part of humorous exhibition ‘KNOCK KNOCK’ presented at the new South London Gallery, 22nd Sept- 18th Nov. The Gallery of Everything, 4 Chiltern Street, (also available at Frieze Masters-Booth F16) presents to us Art+Revolution in Haiti, a three-part exhibition exploring the beginnings of Surrealism and the African Diaspora. Focusing on the abstract work of artist Robert Saint Brice. It also includes artwork by Castera Bazile, Wilson Bigaud, Hector Hyppolite and Georges Liautaud, with texts by André Breton, Truman Capote, Rene Dépestre, Maya Deren, René d’Harnoncourt, Wilfredo Lam, Pierre Mabille and Philippe Thoby-Marcelin. On Friday 5th October, a discussion on ” The Birth of A Black Surrealism?” , a delve into when Andre Breton went to Haiti to give a series of lectures and how this became a pinnacle moment in the development of a 20th-century African diaspora aesthetic, will take place from 11 am to 1230 pm at Somerset House. Autumn Decorative Antiques and Textiles Fair takes place at Battersea Park London, 2-7 October with over 160 dealers attending, Specialist exhibitors focus each year on a period of Design and this year they will demonstrate the influence of Japonisme on European interiors, looking back at its’ particular influence on the Impressionists, the Arts & Crafts and Aesthetic Movements, the Glasgow School and Charles Rennie Mackintosh as well as on Minimalism. Another Art Fair not to be forgotten in this FRIEZE week is the Moniker Art Fair. presented at the old Truman Brewery from the 4th to the 7th October. 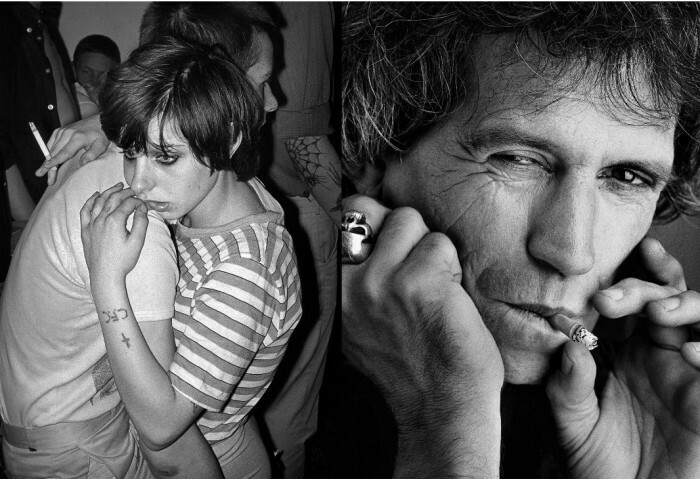 A particular highlight this year is some of the unseen photography of Derek Ridgers, capturing the rise of punk, skinheads and the stars, from 1970 to the present day. With the change in season, comes an important accumulation of everything exciting, performative, interactive, sensory, historical and trend-setting about art. FRIEZE gives us the most incredible platform into which we can’t wait to delve into. Frieze London is located in the south of The Regent’s Park with the entrance off Park Square West. Postcode: NW1 4NR.